Mulberrys is revolutionizing the garment care industry and we are always looking for positive, energetic new team members to grow with us. If you’re interested in being part of a fun, high-growth company then check out our open positions and submit your resume today. 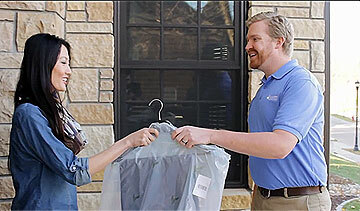 in clothing care and provide world-class service to the top clients in the industry. Experience the freedom of owning your own business as a Mulberrys delivery expert. wages, while working a set schedule as a garment care expert.